While I'm not a massive opshopper (thrift shopper for my American readers!) I do like browsing when I can and occasionally getting a bargain. Back in October, my local store had a 'fill a bag for $2' sale. I took the rare opportunity to leave the boys home with hubby and have some time to myself to browse. I didn't try anything on, just filling my bag with things that looked good and I guesstimated would work. I've shared before that I sometimes wonder if it's worth buying less than perfect pieces at the opshop with the idea of spending more to get them tailored to fit. But with two of the thrifted pieces I'm wearing below I decided to go ahead and spend more on getting them tailored. They worked out at 67 cents each so even with the average $14 tailoring price for both they were still bargains. This beautiful tribal print skirt used to be a strapless dress. It looked nicely made, but you could see where the fabric had been pulled from someone constantly adjusting it. I couldn't get past the gorgeous print and colours, it looked lovingly handmade too so I added it to my bag, reasoning I could wear it as a maxi skirt. When I got it home and tested this theory out, I realised it was going to need a bit of elastic sewn in to keep it in place as a skirt. Luckily my tailor was happy to do that for me. While it's not quite maxi skirt length, and is more an ankle grazing length on me, I adore it. I've never seen anything like this in the stores and being cotton it's sure to get a lot of wear over summer. It's made me think about getting my red maxi skirt fixed up - it's a bit too long (#petiteprobs!) but I usually just get around that by wearing it higher on my waist. Wore this out for an errand filled day with the boys, trying to cram everything in before a predicted storm was due to arrive. Thankfully it passed right by us. I did a little detour in the morning and stopped by the Jeanswest sale again, and picked up another little something which you'll have already seen in my November purchase post. Last worn: denim jacket, brown marle tank, gold Havaianas, Rebecca Minkoff Micro Regan. First time I've worn the skirt as it was a recent purchase. Other ways to wear: denim jacket and maxi dress, brown marle tank and wrap dress, Rebecca Minkoff Micro Regan worn 30 ways. Perfect for pregnancy: denim jacket and hidden baby bump, brown tank in third trimester, gold Havaianas and maternity bermuda shorts. Both the tee and the shorts I picked up at the same $2 sale! The super soft tee was perfect as it was, so no alterations were needed there. I got it to replace my black tee which I accidentally destroyed by sticking it in the wrong wash cycle one too many times! When I saw these shorts I was drawn to the colour and felt positive when I saw the size label was my normal size. I threw them in the bag. 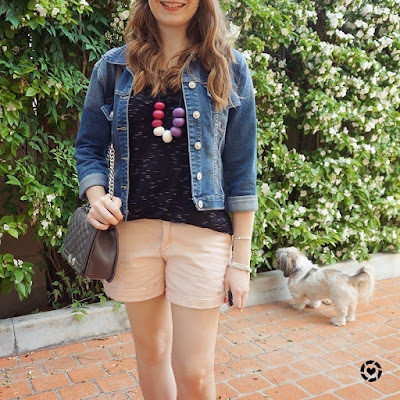 After having my colours 'done' pastels were one of the things suggested to keep away from my face, so I thought these shorts would be a nice way to add some pastels to my summer outfits. I was disappointed to get them home and realise that they were either labeled incorrectly or a different sizing standard, as they were much too big. After debating if I could belt them, I decided to go ask my tailor if she could do anything. And she could! I felt pretty good about giving these shorts a new life, slightly tapered off by then seeing very similar shorts on sale for less than half the cost of the alterations. The way I see it though, I supported a charity buying them in the first place (even though it was just $2...), and supported a local business with the alterations. So I don't feel too bad that there are similar styles available cheaper. $14.67 is a pretty good price for a cute pair of shorts! Wore these out to playgroup, where the boys had chocolate chip cookies and of course my shorts were smeared in chocolate. Hopefully these light shorts will fare better next time I wear them! Last worn: denim jacket (above), black marle tee, black Havaianas, Rebecca Minkoff Love bag. First time I've worn the pastel pink shorts as they are recently back from the tailor. Other ways to wear: denim jacket and printed maxi skirt, black marle tee and olive shorts, Rebecca Minkoff Love bag and floral maxi dress. Perfect for pregnancy: denim jacket in third trimester, Love bag and maxi dress in third trimester. It can be tricky to find your size when op shopping. While there are ways around things being slightly too big like belting or wearing skirts higher on your waist, you can always alter something to make it fit. If you're not crafty or are a bad sewer like I am, finding a local tailor is a good idea. They can give you ideas and advice on ways to change garments and make them work for you. Something to try when you love something so much you don't want to leave the store without it. (Tia is my local tailor who I recommend if you're in the Brisbane bayside and this post was not sponsored, she doesn't even know I'm writing it). Do you buy things knowing they will need alterations, or do you leave them on the opshop rack and hunt for other treasures that fit? Linking up with Turning Heads, On Trend, Confident Twosday, Style Sessions. I love tailoring my outfits too, not just the thrifted ones. sometimes, I pick an outfit because it is beautiful without caring for the size because I know I will get them tailored. I've even decided to get myself a sewing machine to help reduce the cost of tailoring them. Oh sewing yourself is a great skill to have, so you can make anything work for you! It does make a perfect skirt! It's pretty rare for me to want to make the effort to get something tailored, but I think in the case of your extreme bargains...it was worth it! Glad you found some keepers to make it worth your time! Also, it was fun learning the word "opshoppers!" Hadn't heard that term before! hehe, we call thrifting op-shopping in Australia! :) "opportunity shops" = op-shops! You can't be the fill the bag for $2! Even with alterations you still got a great deal on these. I especially like the shorts on you! Cute outfits! Love the denim jacket! I pray you had a relaxing weekend. We made over 400 care packages for the homeless. I was too tired to play tennis so I plan to do it today:) Have a blessed new week! My mum doesn't have a sewing machine any more but does know how to sew thankfully, I often get her advice on things even if I go to the tailor for the machine haha! These are such cute outfits, girlie! I especially love the first one, the denim jacket looks so good with the skirt! Thanks for sharing and I hope you have a great week! One can never go wrong with a Denim Jacket you look great! && what a great price! Would love for you to stop by and check out the latest! You've had great luck finding stuff at thrift stores! I find that thrift shopping (or opshopping) takes a fair amount of time and patience that I don't always have. I think if you find a great vintage item that is a high-end brand, you should definitely get it tailored! Why, not? Love that skirt you found, the print is amazing! These picks are so cute. It's really cool what you can find at the thrift store. What great finds!! I love thrifting too, specially at my neighbourhood's thrift stores which are full of vintage and pre-owned antique dresses and tailored suits which have to be retailored once you get them. I agree on the fact that sometimes it's worthy to revamp or get tailored some thrifted items! Oh they would be beautiful pieces to tailor as they'd last a lifetime! I love going thrift shopping and getting lucky. If I find something I reaaaally like but doesnt fit me properly, I can consider tailoring it but normally I am not bothered and leave the shop with a "next time lucky" feeling :) I love your shorts as they look indeed very summery! We are full on winter mode over here though, hahaha. Sending big hugs Mica! Yes I guess it depends how much you are spending on the item in the fist place. I have tailored second hand designer pieces. Looks like you did very well! The only second hand designer piece I've found has been a clutch, haha! So many fantastic finds and at a great price! 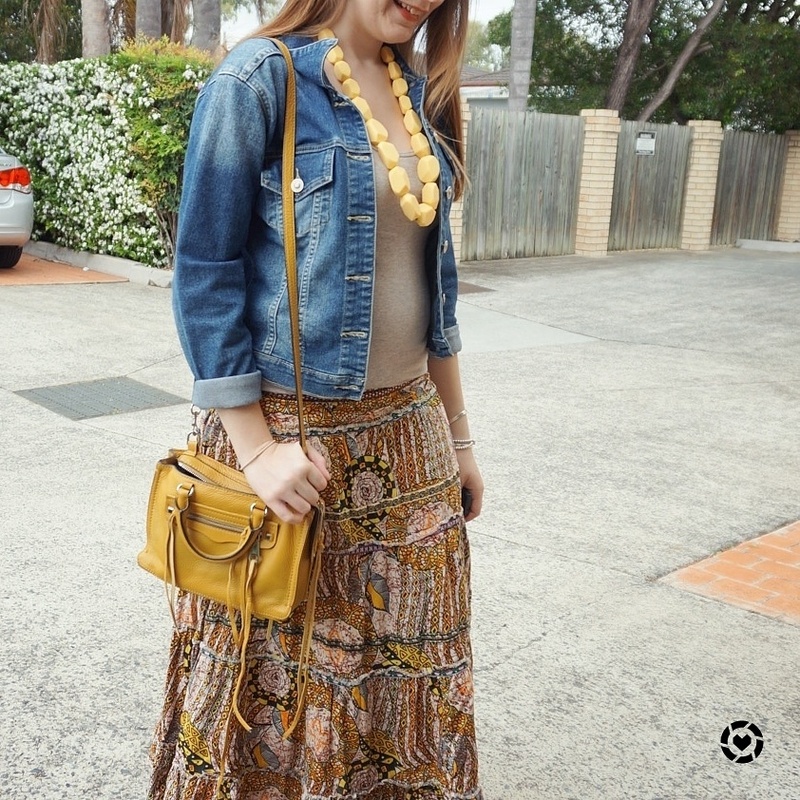 I absolutely love the reimagined tribal maxi skirt, such a beautiful one of a kind piece! I like the idea of shopping at the thrift store but my husband absolutely hate the idea of me buying someone's crap or so as he calls it. I think you can find some hidden gem but sometimes I lack the patience to browse. I like your reasoning on giving that money to a local charity and business - I wish more people thought about that. And they wonder why stores keep going out of business! I so rarely tailor anything I thrift - I'm really picky about my clothes, and inspect them really well. I also shop with a tape measure to make sure I don't make any mistakes when I can't try things on. I don't think all thrift shop items are worth tailoring, but I do think there are exceptions! If there is a special print or aspect that makes the piece uncommon it is worth it! Especially if you know you will get enough wear from it and the overall price is still low. The skirt was a brilliant idea and I can see why you were drawn to the print. It's beautiful! Love the pink shorts on you too! Yes I couldn't not get the dress, it's so beautiful, I was determined to find a way to make it work, haha! I really need to think more about tailoring, so often I have returned things that weren't quite right because I just want a ready-to-wear option, particularly sleeveless dresses with gaping armholes. You've inspired me to think a bit more creatively in future! Good idea about getting the two pieces tailored. I never would have thought of that and they still came out a great price! That was a brilliant idea to make that dress into that fab skirt. I'm all for tailoring, whether thrifted or not. If I find something I truly love, if it needs a bit of tweaking, I'll either do it myself, or for more advanced alterations I'll take it to someone. Totally worth it to me to have something unique, that fits correctly, that I'll get tons of wear out of. Yes, that's my thinking exactly! Except the doing it myself bit, I have zero sewing skills, haha! WOW!! I can't believe you can fill a bag for $2!! Your scored some amazing pieces, I really love your skirt! 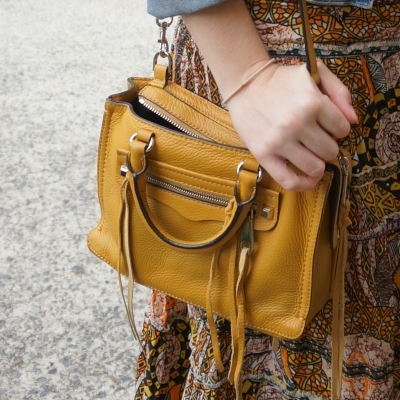 The tribal-inspired skirt is gorgeous. I have made excceptions with charity shop pieces, I only tend to tailor the vintage pieces that I love if I feel it's worth it. You can score big though at the shops. You look great. Have a lovely week, Mica! Yes you can get some amazing pieces at such low prices when you opshop! It's hard if you don't have a lot of choice. I'm lucky to have quite a few opshops nearby! :) Just not as much time to browse as I'd like! I love a classic denim jacket like this! Love the second outfit :) my fave! I thrift so much! I also sew so i try to do my own alterations if I can :) I love the "new" skirt and those shorts are really cute! Good finds! I would love to have the skills to alter myself, I'm sure I'd buy a lot more then though, haha! Love the tribal print skirt! I do tailor some of my outfits too! Btw, your tribal print skirt is super cute! I think both were good and worthy of tailoring Mica. In my case if I see the garment has potential with a max investment of 20.00 USD - then it is ! Thank you all for your lovely, thoughtful and detailed comments. I always smile when I get comments like that from people who read the post :) Thank you. Well you picked two great pieces! I love that tribal skirt on you Mica! How gorgeous is it with that necklace, purse and denim jacket. Also how cute are those shorts! Both pieces can be styled so many ways. I thrift as well. Clothes are so expensive. More an more people are buying second hand. You can really find some treasures.